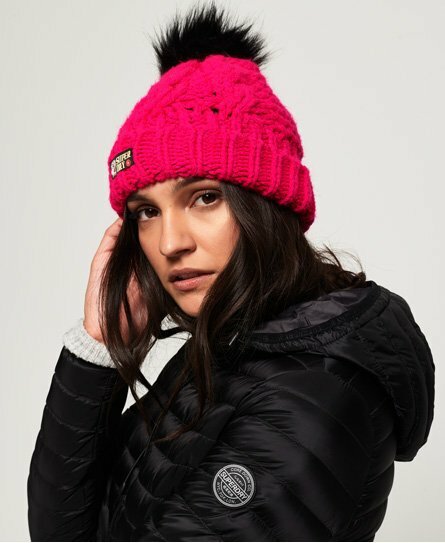 Superdry women’s Chic Regal cable beanie. This cable knit beanie is the perfect winter warmer this season and features a turn up hem and detachable, faux fur bobble top. The Chic Regal cable beanie is finished with a Superdry logo badge on the hem.